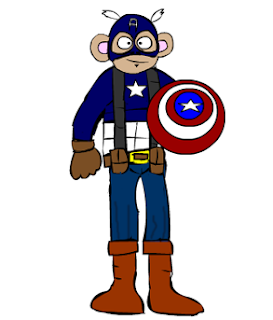 This monkey is ready to do some Avenging. Another new Movie Monkey for you, this time from a more up to date film. And also a film that hasn't even come out yet. Wallpaper versions etc coming soon.